An American family flying with United Airlines from Houston to Portland were forced off the plane after an emergency landing because the pilot wasn’t “comfortable” with an autistic child on board. The shocked family is filing a lawsuit. The emergency stop was made in Salt Lake City, KOIN 6 News reported citing Donna Beegle, who was traveling with her autistic 15-year-old daughter Juliette Forbes. Being “extremely picky,” Juliette needed a hot dinner, leading Beegle to ask if she could purchase one from first-class. At first she was refused. Even after explaining that her daughter had autism, the flight attendant said that an exception could not be made. Beegle then went on to clarify that if her daughter did not get a hot meal, she would reach a “meltdown point” and could potentially scratch someone. Shortly after this, Juliette was brought a first-class meal. Juliette was calmly watching a video in her seat at the time. Paramedics were the first to come on board, approaching the Beegle family to check if everyone was okay. “They could see Juliette was sitting there watching her show,” Donna said. A police officer on the scene added that the family was being escorting out because the pilot was not comfortable flying further with Juliette onboard. Meanwhile, the majority of the passengers appeared to be appalled by the move and had no problem with Juliette’s behavior, according to Donna. “I get the ignorance. But it has to change,” she said, adding that her family will be filing a lawsuit. “It’s not about the money, it’s about the training” standards airlines fail to meet, she said. A United Airlines spokeswoman Jennifer Dohm said that the airline had tried to accommodate the Beegle family, but in the end the decision to land had been made with the safety of the other passengers in mind. “After working to accommodate Dr. Beegle and her daughter during the flight, the crew made the best decision for the safety and comfort of all of our customers and elected to divert to Salt Lake City after the situation became disruptive. We rebooked the customers on a different carrier and the flight continued to Portland,” KOIN quoted Dohm as saying. 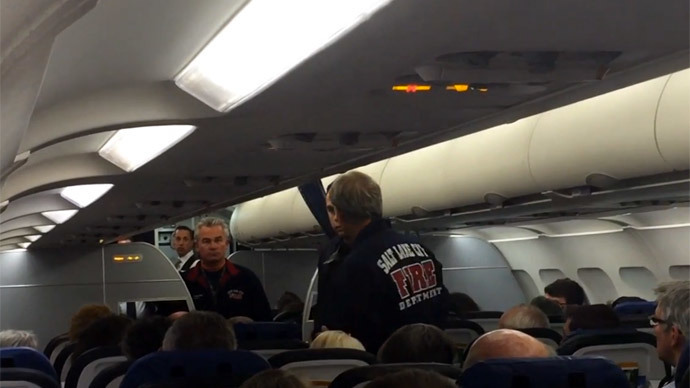 The family then traveled on from Salt Lake City to Portland on a Delta flight.